Shri Chandra Nursing College is popular choice when it comes to nursing education. 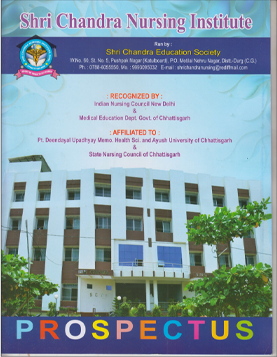 It is the best nursing college of chhattisgarh. Nursing is one of the most challenging and honorable and respectable profession in modern health care. To be a great Nurse, you must not only have to be very well qualified professionally but also have the right positive attitude. There is tremendous demand for quality nursing not only in India and abroad. I welcome you to become a good nurse and extend your services in the development of our healthy nation. 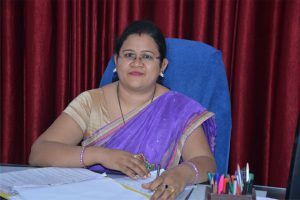 Chandra Nursing Institute, Durg is the best Nursing college of India and i believe in preparing competent nurses. We are well equipped to prepare nursing graduates who are professionally equipped to deal with day to day problems and contribute to community. Shri Chandra Nursing College offers best nursing facilities and training as best nursing college. Please send your enquiry, comments, suggestiong using the form below. Thank You.